Music by 'Little Cloud', vocal by my good friend Tony Wigan. Hi, I’m Kara and I warmly welcome you to my website. I live in Queensland Australia and I Love Spiritualism and all that it provides for my mind, body and spirit. Qi Gong, Meditation and Singing are also my everyday practises. I am a Psychic/Medium/Clairvoyant/Teacher and a Recognised Reverend of a Spiritual Church in Toowoomba. I have a PHD in religion and I am a metaphysical teacher and have my certificate in Aromatherapy, just to name a few things I do. My other qualifications are on the right hand side of my page. Staying positive and motivated is what I enjoy tremendously. It’s all in how one thinks. Aromatherapy is the use of essential oils. They have been used for therapeutic purposes for almost 6,000 years. For me, it is used as a Holistic treatment in a form of a complementary therapy. This in turn is designed to treat the whole person and not just the symptoms. It is extremely helpful with emotional conditions, general health and lifestyle. All of this is taken into account before planning a course of treatment. The whole person is treated and not just the symptoms. In modern days, Aromatherapy came about when René-Maurice Gattefossé, who was a French chemist, had an explosion in his laboratory and discovered the healing properties of lavender oil when he applied it to a burn on his hand. After this, he began to analyse the chemical properties of essential oils and how they were used to treat burns, skin infections, gangrene, and wounds in soldiers during World War I. Then, in 1928, Gattefossé founded the science of Aromatherapy. By the 1950s massage therapists, beauticians, nurses, physiotherapists, doctors, and other health care providers began using Aromatherapy. As an Astrologer, there are many facets in doing different types of charts. Astrology is about the connection between those of our planet, ourselves and the Cosmos. It follows the patterns of movement by the planets and stars and it assigns meanings to them. It relates to human motivation and our consciousness. Astrology is the interpretation of the influences of the stars and the planets on human affairs and terrestrial (relating to the earth) events by their positions and aspects. The earliest understanding of Astrology dates back to the Babylonians, which is known as being the first organised system. The aura is the energy field that surrounds us and it is an essential part of who we are. It has layers of colour around us and it contains our physical, emotional, mental and spiritual energies. It is the vibrations of a person. Animate and inanimate subjects have an aura. It is the essence of a person. For example, when you get a good or bad vibe off someone, you are sensing or feeling their aura. If you have an open mind, anyone can learn to see the aura with practise. There is a lot to know about Chakra’s, but I will try to explain them as easy as I can. The word chakra derives from Sanskrit and means “wheel” or “turning”. They are spinning wheels of energy, (light). They allow our energy to flow from one part of our body to another. In Yoga, it is points that are located along the body, usu. There are seven main chakra’s (as there are also minor chakra’s) in number and they are considered as energy centres. These seven energy centres align from the base of the spine to the top of the head. Each Chakra connects to a colour. Clear Hearing: Hearing sounds or words from the spiritual realms. Clear Emotion: Where one Senses or Feels within one’s self the attitude or emotions of another person. Clear Feeling: Feeling information by way of strong emphatic feelings and emotions from spirit. A Clairvoyant is a person who also uses their third eye. It includes precognition, (fore-knowledge of an event, especially as a form of ESP), mediumship, (a person who mediates communication between spirits of loved ones, passed on people, guides and Angels). Remote Viewing, (which is where one seeks impressions about a distant or unseen target, by using subjective means, in particular, ESP) and seeing into the past. Clear Vision, (seeing with the mind’s eye, objects, colours, symbols, people, spirits or scenes). These pictures are not visible to the naked eye and usually flash into the clairvoyant’s mind. The title that I prefer to call myself is a Life Path Consultant. I like to look at a person’s Path in life through their Astrology, Numerology, the Palm, the Aura and Metaphysics (philosophy) and give an understanding as to why certain events happen in one’s life, and the lessons that we are to learn here in this school of life. Helping people to find their soul’s journey and to understand why things happen to them and why they follow the certain paths that they do, is an important part of what I do. Meditation is where you train yourself to calm, or empty the mind, often by achieving an altered state, as by focusing on a single object, which is often the breath. It helps in contemplation, prayer and reflection. Many people use meditation for stress, health, well being, study, sports, spiritual growth, clarity, calmness etc. Mediumship needs to have a sincere purpose from the person requesting the sitting, as it is not our place to disturb the Spirits unnecessarily. Mediumship is a wonderful ability to have and is a favoured area of mine. I have had much success in grief counselling and allowing people to talk to those loved ones who may need to get a message across. We are all aware of our senses of sight, hearing, taste, touch and smell. There is also our sixth sense, (our third eye) which is psychic ability, or our intuition. It’s that real feeling that we can get at times when you cannot logically explain it. Everyone is psychic to some degree or another, but not everyone is a medium. It is believed in the field that the Pineal Gland (Third Eye) is where our psychic ability lies, which is in our 6th Chakra, which also connects to our 7th Chakra through our pituitary gland. A medium is a psychic who has fine-tuned his or her ESP and can connect with the spirits in other spheres. 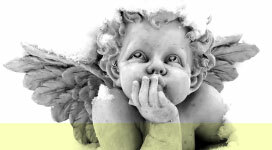 They are able to see, feel, sense, hear thoughts, voices or mental impressions from the spirit world and Angels. A medium is able to become completely aware and receptive to the higher energies in which the spirit realm vibrates. This is why meditation is so very important to us to be able to connect on the different frequencies and to raise our own frequencies. This means mediums rely on the presence of non-physical energy outside of themselves for the information relevant to the person in the sitting. Metaphysics is a branch of philosophy that examines the nature of reality, including the relationship between mind and matter, substance and attribute, fact and value. It teaches one to be positive in mind, body and spirit. Numerology can be traced back to about 10,000 years to Egypt and Babylonia. Pythagoras, who developed many of the basic theorems that have formed the foundation of modern mathematics, is credited with formally organizing the field about 2600 years ago in Ancient Greece. At the turn of the 20th century, an American, L. Dow Balliet, along with several contemporaries, initiated the modern phase of numerology. Numerology is the study of the symbolism of numbers. It can help to determine a person’s personality, strengths and talents, work, love, finances, obstacles, inner needs, emotional reactions and ways of dealing with others. Numerology presents the whole picture of a person. Visiting the sick and dying in the hospitals and hospices as a Reverend and Pastoral Carer, is also where being a Spiritual Healer can help those who need comfort during their difficult times. It’s about providing emotional and spiritual care to those in old age homes, the community, hospitals and the hospice etc. A Pastoral carer works with other professionals in developing a Holistic approach to an individual and/or a family’s care. It’s working within the practise of Spiritualism, an ethical code, and a moral framework. The origin of Psychic, comes from the Greek word ‘psyche’, which means soul, spirit, mind, and by extension, the feelings, sentiments, emotions and thoughts. A Psychic is someone who can see beyond the natural range of the senses. Psychics tune into the energy of a person or objects (Psychometry) by feeling or sensing parts of their past, present and future. ESP plays a role also. So a psychic relies on their basic sense of intuition and empathy to gather information for the person being read. Qi gong, Chi Kung, or Chi Gung, is a practice of aligning breath, movement, and awareness for exercise, healing, and meditation. It is also known as Chinese Dance or Chinese Yoga. For me, Qi Gong is a spiritual discipline and keeps ones awareness opened and it is extremely peaceful, as there is a connection between nature and tranquillity. It is a great practise for health and well-being. The spiritual aspect of Qi Gong evolved from Taoism and Buddhism. Qi energy is equivalent to the Hindu Prana, which flows through the energy channels, which are called meridians. It is a gentle exercise focused on the breath and can be done by standing or sitting. Spiritualism is a recognised religion under the Australian Government. Being a Reverend means that I have the educational qualifications and follow a code of ethics. Spiritual Healing involves the use of healing energies being directed by Spirit, the Universe, via a medium, to assist a physical person to become healthier at all levels of being. It is energy. It does not replace medical attention at all. It simply enhances the healing process. In Spiritual Healing, a large percentage of our issues in our lives actually have a very strong tie to our Spiritual energy. Spiritual Healing is defined as overcoming the spiritual root causes of problems by spiritual means. Spiritualism is a Philosophy, Science and Religion that is based on the belief of the continuous existence of the human soul after death, and the ability to communicate with those spirits. It is a belief in God (Universe). Spiritualism has no dogma or creed. Every being is seen as an individual looking to expand their own awareness and understanding surrounding their role in life. It is opened to interpretation. Spiritualism’s study is worldwide and is taught through the Lyceum Manual. The third eye is also known as the inner eye. It is believed that it is the opening that leads to a higher consciousness. It is where enlightenment exists. A seer works with their third eye. It is related to the 6th chakra, which is located in the middle of the forehead, above the brows and it is associated with the pineal gland, which can often be dormant. French Philosopher Rene Descartes, believed that the pineal gland is “the seat of the soul” which is where the mind and body meet. Pick the right reader for you that you connect with. Recommendations are the best. A reader for you may not necessarily be the reader for other people close to you. Check the reader’s credibility and credentials, as in where they have studied and what they have studied in the field, as not all readers follow a code of ethics, or are under any Governing Body. Be prepared for your reading with a list of questions on your cause and objectives. Just because someone is a psychic/medium doesn’t mean they can read your mind, it is your energy being read. Be centred and as calm as possible prior to your reading. Be fair in your assumptions of what is being said to you, if you don’t understand what is being said, ask for clarity. Remember that a reading is not the total answer to your questions, it is a guide only. The reader does not create your judgements or decisions on any given question; you are the only one who can make your own choices. Don’t be dishonest or play games, as if you do, the reader will normally finish your appt before it starts. Your reading is not set in concrete, as the reading is a guide only. Your future really depends on your own personal actions that you take, as well as those around you. We all have Free Will, which means that at the time of your reading, it is purely based on the decisions surrounding you on the day, which you have Free Will to change. A reader plays the role to help you to see possibilities and often limitations of what has been occurring around you. It is the most likely outcome that is read. We all need to make our own choices in life, and no one person has all of the answers to anyone’s issues. Readers can only be used as a guide on your path, as we all have free-will and things in life change through being made aware of them, attitudes and seeing two sides of a story. Spiritual guidance can help one to have an understanding of why things happen in certain situations. It can give a clear vision to one’s own personal responsibility and journey in life. The sunflower is the international flower of Spiritualism. It was my Grandmother’s and Father’s favourite flower. 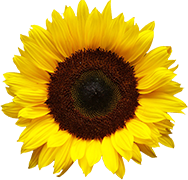 The Sunflower represents the Universe with its bright colour of the Sun. IT HELPS TO UNDERSTAND WHAT WE CALL OUR FATE. TO ME IT MEANS THAT SPIRITUALISM CAN BE SO DIVERSE. THROUGH PSYCHIC FACULTIES, IT’S ALSO RIGHT IN THE PALM. IT’S SUCH A GOOD THING TO JUST SIMPLY BE ME. DISCLAIMER: The information on these pages is intended as a guide only. Kara accepts no responsibility for any consequences resulting from the use or misuse of the information provided. No Liability is taken.